This winter feels like the real deal. The skies unleashed and the snow piled on. We have snow banks where last year was bare. We are living in a winter wonderland. From Avalanche Ranch there are a number of excursions that take full advantage of the beautiful landscape covered in white. Here are my favorites (always a dilemma whether to spill the local secrets). Avalanche Creek Road: 1/4 mile from our driveway, the Avalanche Creek road is closed in the winter to vehicle traffic and dogs due to the Bighorn Sheep population that winters in the area. The road winds 3 miles up to the campground. It is a great gradient for snowshoeing, X-country skiing or backcountry ski touring. Coal Basin Road: 4 miles from Avalanche Ranch take the first right South of the Coke Ovens by the Redstone turn-off. Drive about 1 mile up the road to where they stop plowing and park (careful where you park when the ground starts thawing, my car was almost obliterated last spring by a landslide). Coal Basin is a great ski or snowshoe route. The road climbs gradually and is a great classic ski tour for all abilities. Dogs are allowed and my dogs vote it #1 winter outing! It is a tight creek valley and is dramatic in the winter with ice formations dripping from the rocks. Huntsman’s Ridge: Nearly to the top of McClure Pass, 15 minutes South of Avalanche Ranch, there is a pullout on the right-hand side of the road, 1/4 mile shy of the summit. Sometimes it is barely accessible by vehicle and is better that you park at the summit…. We have dug a few cars out in the winter. From this pullout follow the ski tracks to the N/W and begin the climb. It is a steep ascent from the start and requires snow-shoes or skins. It is about a 45-minute hike to the top of the ridge. Adventurous, equipped, back-country ski enthusiasts can make turns off the back side (avalanche terrain) or down the front side on low angle slopes. Touring up the ridge is beautiful too and the views are spectacular! Extreme sledding is my favorite past-time. The descent on a sled is technical and FAST. McClure Pass Road: From early season in the fall through to late spring, the summit of McClure Pass provides winter access and great views. There is a big parking lot at the summit of the Pass. There is a dirt road that meanders S/E from the parking lot. In the winter the road is not maintained and is a great ski tour or snowshoe. The gradient is mellow, perfect for lightweight equipment and for all ages and abilities. Spring Gulch: My favorite groomed trail system in Colorado (no bias of course)! About 10 minutes outside Carbondale (so about 30 minutes from Avalanche Ranch) on County Road 106, Spring Gulch is a nordic paradise. The 20+ kilometers of trails wind through Sage, Juniper, Pinon and Aspen. Even when the parking lot is full you hardly see a soul. Keep your head up for deer crossings. Spring Gulch is a ski only trail system, so no snow shoes and no dogs. 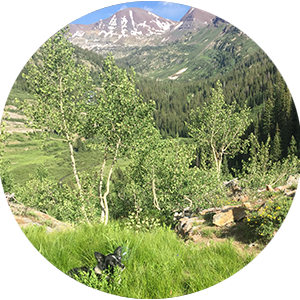 Spring Gulch is a membership funded trail system so there is no cost but feel free to leave a donation! Thanksgiving Day, I looked out the window from under the covers and watched a Bald Eagle soar down valley over the Crystal River. I would like to interpret it’s appearance as I started my day as some sort of omen or good luck, but that would assume that it’s flight had something to do with me. It’s flight did inspire a positive train of thought appropriate for the holiday. From my bedroom window everyday I look out on the Crystal Valley with the Elk Ridge, Mount Sopris and Elephant Mountain in unison creating the most spectacular vista. This fall has been incredibly busy, to the point of reactionary and frantic, and I am so lucky to have this place, the source of the frantic business, be also the source of calm and sense of place. 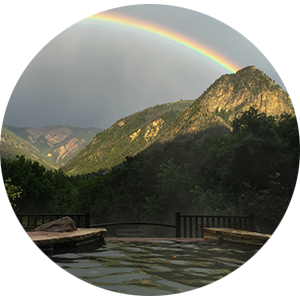 Avalanche Ranch is situated in a location that easily rivals some of our National Parks in its beauty and wildness. That is likely why it is so busy! and why we (those that vacation here and those that live here) situate ourselves cozily and contentedly without it every getting tiresome.As this is an inspired time to think about all we are thankful for I’d like to list some (just scratching the surface) of the things I am thankful for at Avalanche Ranch. I am thankful for our staff. They are fun, thoughtful, hardworking people that contribute daily to the operations and success of Avalanche Ranch. No one day is really alike, because this business is made up of many parts and can somehow always configure unique situations and circumstances. The staff at Avalanche Ranch are flexible, understanding and invaluable to us! They are forgiving of my management shortcomings (I think!) and I am grateful! We could not function without their dedication! I am thankful for family. I have the great fortune of working alongside my parents, my husband and my children. My parents are the heart and soul of Avalanche Ranch and you can feel their influence while here. It feels like a mom & pop business where the patriarchs are kind, genuine, generous, youthful people. My husband is the bedrock of our small ranching operation here (among a million other things). He is the one I lean on to keep the chickens laying, the sheep healthy, the horses shod, and all the hay bought and stacked. He is the one who brought livestock into my life, enriching it with soft neighs, an entourage of scurrying chickens and the donkey’s needy braying. A few days ago I somehow lucked out when my son offered to clean cabins with me (for reasonable pay of course). I am motivated to raise a son who can cook, clean, dance and have good manners. So his concession to clean with me was a big step toward my success at mothering. He was excellent company, made a day’s work pleasurable, and surprised me with his thoroughness. My work here is really a lifestyle and with my family all around me I feel fulfilled. I am thankful for our guests. We are lucky to find so many hot water loving, mountain loving, and cabin loving people whom are willing to make the trek to Avalanche Ranch. Who would we be without our guests?! I am so lucky to have to travel such a short distance from my home (1 step into the office) to interact with people from all around the United States and beyond. My small world view is expanded without having to leave this incredible place. I appreciate the conversation, the friendliness, the patronage and the loyalty of our wonderful guests! 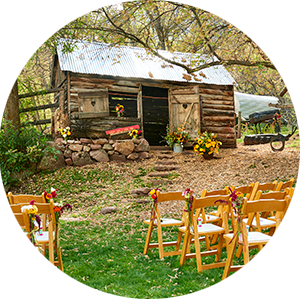 September is notoriously the best month for weddings in Colorado. With an outdoor wedding, it is a bit of a gamble, for there have been plenty of weekends where the temperatures plummet, wind howls and winter is chomping at the bit. But most of the time it is mild, crisp, colorful and beautiful. At Avalanche Ranch, we often have a wedding every weekend in September. That is a lot of responsibility! For most people, their wedding day is one of the biggest events in their lifetime and they have been visualizing it for a long time. We want to make sure it comes together in the best possible way to meet their expectations and go smoothly. There are some elements we can control and some we cannot. We can help plan, set up, support, and suggest, but we can’t control the weather. In Colorado, there is a saying, “If you don’t like the weather, wait 5 minutes and it will change”. That is what we experienced last weekend. The event was kicked off, tables were set, the keg was tapped, outfits were on (which I have to say were great outfits! Inspired by the movie the Big Lebowski) and the wind and rain moved in. Whether you were the mother-of-the-bride or a guest reveler influenced your blood pressure at the time. The caterer showed up at that moment too. This is The Opportunity to Panic… when the weather doesn’t cooperate with the itinerary. I appreciate that sense of urgency, for a lot of planning and time has gone into that 6-hour window. But the reality is that all of those people are so happy to be together, especially when it is 50 of your closest friends and family. They will be fine for 10-45 minutes. They will talk and drink and laugh. They will be forced into a closer space to visit more intimately and possibly visit with someone they haven’t visited with until then. They may not even notice that it wasn’t part of the plan or even care. Since it is Colorado, the storm is likely to pass quickly, close to 10 minutes tops. And then the best part comes: the sky brightens, the light is dramatic, a rainbow crosses the peaks and pictures need no filter. Not that our scenery is diminished on a bluebird day, it’s just that there is a charge in the air after a storm and the landscape, atmosphere, and light is somehow intensified. This last weekend turned out just perfect, in its own way. The caterer set up, the storm cleared, the guests were happy, the food was served and it was delicious. As a resident of Avalanche Ranch, I get to be happy and festive by association. When a group of people is celebrating their most important day it rubs off on those around them. I relish their joy. I enjoy witnessing each individual couples way of celebrating. 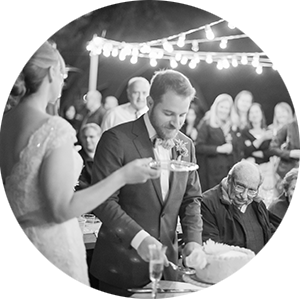 Each wedding takes on its own personality and the elements play their part. Summer in the Rocky Mountains is breathtaking. Summer is also too short. Every summer I make a vow to get out more, get higher (elevation) and take advantage of this magnificent backyard. From Avalanche Ranch there are at least 8 National Forest trailheads within a 5 to 15 minute drive. Most of which service the high country, traveling up to treeline, mountain passes and drainages that lead to Aspen or Crested Butte. This past Saturday I ventured out with my parents, my husband and my 12 year old son. We drove 15 minutes up the road to Marble. At 9 AM we left our car at the trailhead and headed into the mountains. No hikes from the Crystal RIver Valley start out gradually, so within the first mile we accomplished a lot of elevation gain. Climbing through timber and along a creek we stretched our calves and acclimatized our lungs. Somehow, while I am huffing and puffing, my son can keep a running dialog about the trees, the moss, the rocks and life in general. We passed an Outward Bound course about an hour into our hike. Young faces completing 15 days in the Snowmass Wilderness, brought together into the Mountains from all different backgrounds. About 1000 feet up from the trailhead the valley opened up before us and our destination was in view. Dauntingly we could see the hanging valley another couple thousand feet up, off trail. This was my dad’s idea. 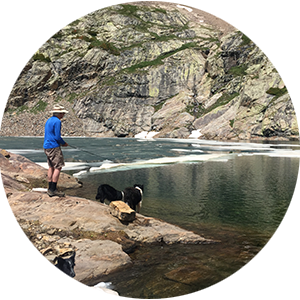 A day trip to a lake up above treeline and off trail. By 2:30 PM we had scrambled through brush, over talus, grabbing onto trees to our destination. High above treeline the lake was still breaking up from the winter. My dad casted his line in next to the ice and brought in a few beautiful cutthroats. Three dogs were carefully monitoring his line. There is no place on earth I would rather be than the high country. It is not only the beauty that inspires, but also the quiet. The high mountains are rugged and hard to get to (not that hard, but it does take physical work). Being out there awakens the senses. A day trip is hard, because you realize that you have made it to this incredible place, and now you have to leave it. Wouldn’t it be better to stay a couple nights, decompress and slow down. But we packed up and headed back, grateful for the day we had. Descending was no easy feat and I prefer going up instead of down. My son made up 3 lengthy stories along the way, keeping us distracted from our aching knees. We staggered to our car around 6:30 PM and drove directly into Marble to Slow Groovin’ BBQ for dinner and cocktails. Even after a mere 9 hours in the backcountry we were a little culture shocked to be around people. But we gladly joined the throngs to enjoy the ambiance and dive into a well earned, delicious meal! When can I go again? When you visit Avalanche Ranch, you are not required to stay overnight. Of course, the overnight experience provides more hours to absorb all the benefits, i.e. 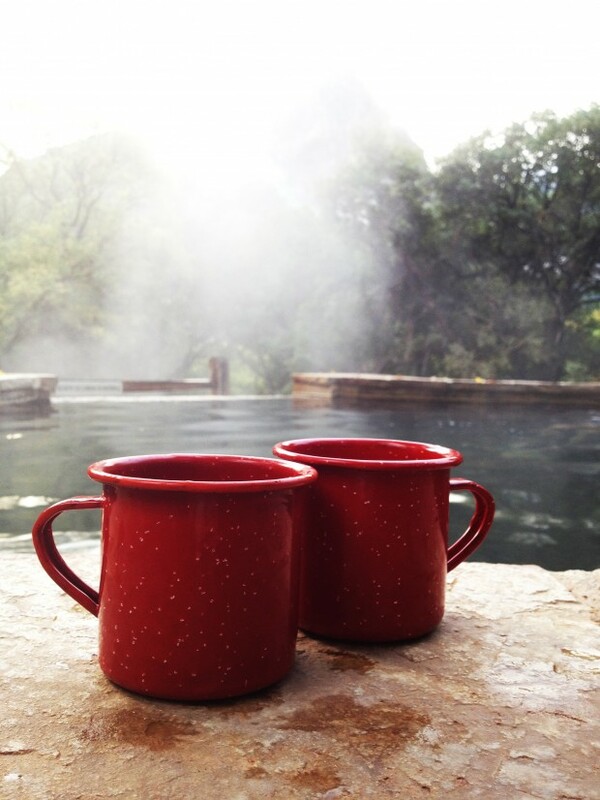 the views, the hot springs, Cowboy Steve, the sheep, fresh eggs in the morning, the cute cabins… However, 4 hours are not too few to start with the benefits of the hot springs and whet your palate for the rest of the experience. As a day visitor, you can choose between the morning, from 9am-1pm, or the afternoon, from 1pm-5pm. Reservations are recommended as there are limited spaces available in each time slot. 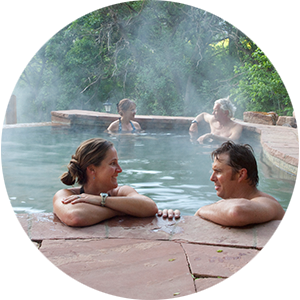 Reservations for Hot Springs day use is not an industry standard, it does throw people off at first. It is not intended to keep out the locals, or make it exclusive, or to run the office staff frantic. We made a choice in the first year of operation to try and preserve quality over quantity. In order to do so, we quickly realized a reservation system was needed as there was no way to predict if 90 people would descend at 2 pm on any given day to pack the pools shoulder to shoulder. The huge benefit to the reservation system is that there is a good chance that on any given day the pools will likely NOT be crowded and sometimes you may be the only one in them. Your best chance for quiet is a weekday morning. (Forgive me George for revealing that secret!) Of course, there are the rare occasions when all the day visitors and lodging guests decide to visit the pools at the same time…. even then it is a far cry from the bustle of the Glenwood Hot Springs when school is out. If you have family coming into town, need some quiet “me” time, a birthday treat, muscle therapy, special time with a child, a break from the city, or no reason at all give us a call and reserve a place in the springs. Bring some water, snacks and enough time and let yourself absorb all that Avalanche Ranch Hot Springs has to offer even if only for an hour or four. Want to make your day trip even more special? Plan ahead and book a therapeutic massage with your soak. We hope to see you soon! People often ask about the history of Avalanche Ranch and shamefully, I can’t answer with confidence. After 12 years here I should probably know more about the legacy underfoot. So I am on a mission to compile the history to the best of my ability. To start, on March 9th, I interviewed Wallace Parker about the years his family owned and ran Avalanche Ranch. He wove tales of his time here for nearly 2 hours. Here is a brief recap. In the March of 1949 my parents came to Colorado and moved into the Gamekeeper’s Lodge and hired 3 carpenters and converted the barn into 3 rental units and built 3 log cabins. Those 3 cabins are over at Avalanche Ranch today. Those people who we purchased from had thought about doing something with that [property] and they were going to call it Swiss Village. And that’s how we got the name Swiss Village and the entire years of the operation of the resort it was called Swiss Village. Even when the cabins were moved to Avalanche Ranch. 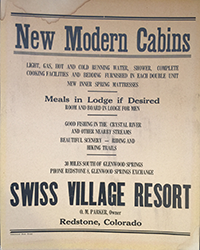 In 1949 the former owner of the Glenwood Hot Springs Pool, Frank Kissler, bought the Redstone Inn and a lot of acreage on the West side of the highway. He offered a price to buy the Gamekeeper’s Lodge that the Parker’s couldn’t refuse. So the Parkers sold to Kissler and bought 140 acres 5 miles North at Avalanche Ranch. In the spring of ‘50, my dad engaged Red Merril, who had an excavation company in Carbondale, to come up and create the roads where the cabins are. Red had a crane and a flatbed trailer and truck and they put cables around the cabins. Put 4 notches in them and put the cables around them and picked them up with the crane and put them on his flatbed truck. Then the truck and crane came down here to places that were already set up and set those cabins down. The Parker family moved 8 cabins from the Gamekeepers to Avalanche Ranch. 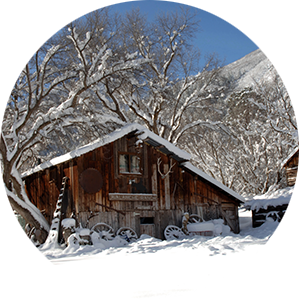 At Avalanche Ranch the physical buildings that already existed were the main house (now red), the barn and 4 cabins. They owned and operated the Swiss Village Resort until 1976. They were open May-October and the cabins had indoor facilities and electricity. Most people stayed with them for at least a week at a time. A good portion of their guests were from Texas and many of them came back year after year. “You know I think from the very beginning that our time in the Crystal River Valley is tied irrevocably with the time spent at Avalanche Ranch.” Wallace and his wife Naomi now reside next door in the neighborhood Wallace subdivided from Avalanche Ranch. Wallace retired from the Roaring Fork School district after 30+ years of service. Wallace is going to be 89 in June. He and Naomi have 4 daughters, Triss, Penny, Cari, Janet, 7 grandkids and 10 great-grandkids. 1. A private room or compartment on a ship. 2. A small shelter or house, made of wood and situated in a wild or remote area. 1. confine in a small place. When I think of the history of the Western United States I often visualize caravan wagons, homesteaders building log cabins and a landscape full of wildlife. I am a connoisseur of Western literature and also devour Western movies, so my images are aided by fiction and Hollywood. But the reality is the West was discovered and developed by people traveling in caravans and building log cabins. And the West was full of wildlife and still is. When I analyze the traffic to our Avalanche Ranch website we rank our key-words, the words people enter into the search engines that will pull our site up. 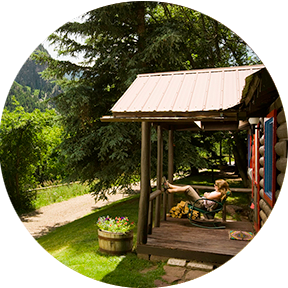 “Log Cabin”, “Colorado Cabins”, “Cabins and Hot Springs” rank high on the list. That means people that find us are looking specifically for a cabin. I assume that they know the general meaning of what kind of accommodation a “cabin” is. What if our prospective guests search us strictly for “Hot Springs” and they see our reviews, the beautiful pictures and then, they book… but, they have no experience with the “cabin” genre of lodging accommodations. It is a genre. In the lodging industry, there are different types of lodging. More familiar to people is the difference between a Motel and a Hotel. Or between the Holiday Inn Express and the Ritz Carlton. Most hotels have daily service and expected conveniences (like a gym or breakfast included). If a person that has frequented many hotels, but never a “cabin”, what will they expect when they come? I have frequented many cabins. And we have lots of guests who have done the same. The guests who are familiar with “cabins” usually call and ask the following questions: Do you provide linens and towels? Do you provide wood for the wood-burning stoves? Is there heat? When I field these questions I know they will be pleasantly surprised when they arrive. Because like me they have been to cabins that when you open the door you feel like you should have spurs on your boots, dirt in your nostrils and no expectation of a shower. The cabins that are just a shelter and an access point to the great outdoors. Our cabins, within the context of “cabins”, are well appointed and clean. But they are not at the top of the ladder. 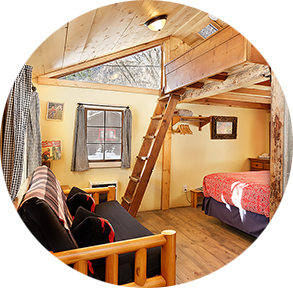 We pride ourselves on providing a top-notch cabin experience at an affordable level. Our cabins are “cabiny” on the inside and outside, the decor and themes picked out by myself and my mom, with love. Recently, we have experienced more people finding us and staying with us who are not equipped for “cabin” life. If you don’t know how cabins differ from a typical hotel I imagine there is no way to properly form a mental image. We want to find a way to better inform our guests. We have posted the definition of a cabin on the splash page of our website to start. But a definition may not be enough. Because the definition truly starts when the cabin was built. Our cabins were built between 1889 and 1950. Building codes didn’t exist. They are not built on foundations. Other elements influence the definition as well. Where it is located. We are in the mountains, on a ranch and near trees. 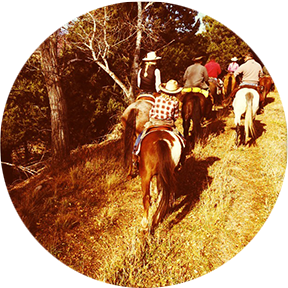 So part of the cabin experience includes the residents of the mountains, forest, and ranch. We have deer, bear, mice, squirrels, bugs, and birds. The sheep, llama, and chickens reside nearby. Our goal is to keep all wildlife out of the cabins. But you may see them on the property and must be prepared. Maybe… the best way to preface a stay in a cabin is to suggest it as a sampling of Western history. The homesteaders who built Cabin #13 and the barn started a legacy. Fortunately, we have upgraded the cabins and they now have plumbing, electricity, heat and modern comfort. But they still retain the authentic rough-hewn wood, tin roofs, mountain views and access to the outdoors. There are dramatic differences between present day and 1889 (there are motorized vehicles on the road!). However, the astounding beauty is the same, still attracting people to this area today as it did in 1889. No need to remember your spurs, but please remember we are a cabin resort! I find something special about every place I visit in Colorado, however, sometimes I stumble across a destination that has just the right amount of history and ambiance to make it magical. Maybe it was the rain, perhaps it was the flock of grazing sheep, but Avalanche Ranch Cabins & Hot Springs was just such a place. 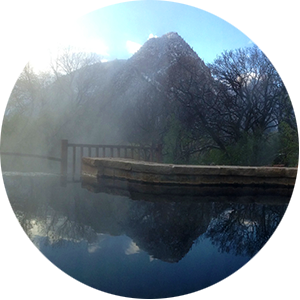 I’ve always wanted to go to one of our local hot springs. I’d heard of the Penny Hot Springs and the ones at Conundrum, and knew there were several others in the area, but had never been to any of them. I asked a friend what he knew about them. He told me about Avalanche Ranch, a place I’d never heard of, between Carbondale and Redstone. He said they had hot springs, and cabins you could rent to stay the night. That sounded like a great idea, because we could have some drinks in the hot springs and not have to worry about driving back to Aspen. A trip to the Avalanche Ranch Cabins and Hotsprings is akin to a boyhood dream come true, at least for me personally. It’s the land where the waters are warm, the fish are plentiful, the views astounding, and recreational opportunities abound. And this, directly out the doorstep of your personal ranch cabin, surrounded by meandering trails, friendly farm animals and relics from days gone by.